It’s rare when one can regard a photograph and instantly know its creator. It’s even rarer to regard a photograph that sends chills up your spine as it transports you to the scene and time in which it was taken. The work of Edward Curtis falls into both categories. The son of a Civil War vet, Curtis was born February 16, 1868 near Whitewater, Wisconsin. He began shooting with a homemade camera, before his family moved to Seattle in 1887 where Curtis started his career. While in Seattle, he photographed the daughter of Chief Sealth, Princess Angeline, and various scenes of the developing Western landscape. In 1906, J.P Morgan commissioned Curtis to shoot what would become the highwater mark of his career, a series on the North American Indian. I won’t belabor the points of his life much more, as you can just check out his wikipedia entry here, (and I highly recommend doing so, as he led a fascinating life), but the photos below are a few of my favorites from his archive at the Library of Congress, which consists of of more than 2,400 silver-gelatin, first generation photographic prints made from Curtis’s original glass negatives. This is a striking scene from some of the strangest movies I’ve ever seen. It’s gratuitous as hell, but keenly gratuitous, as opposed to some moralistic portrayal of the junkie jazz scene in the 50’s. 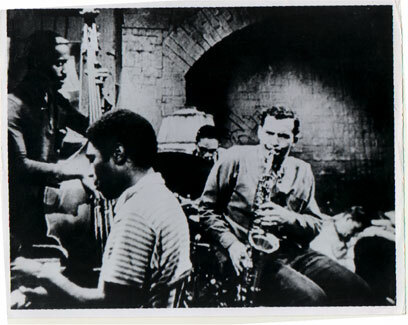 Jackie McLean (on sax) Freddie Redd (keys) were cast, and apparently Dexter Gordon played piano in the stage version of The Connection. Here’s the original review from the NYT. The mugshot (and especially the celebrity mugshot) has become such a canonized aspect of the American consciousness that, at least to me, it transcends both originality and cliche. What I mean by that is: Mugshots are instantly recognizable and in a sense, unoriginal – however, they remain stylized in such a way that the viewer’s instant recognition classicizes the mugshot aesthetic. (Really, the same goes for anything “classic,” and I use that term tightly, as it seems to have been applied pretty loosely to things in the past). Anyway, I feel like featuring my favorite mugshots is an easy road to take, but a necessary one nonetheless. So, once one acknowledges these preconceptions, I think mugshots can be a fascinating window into an individual’s naked personality. They reveal people at their most vulnerable – and it’s interesting to interpret how composed/distraught/stylish/smug/embarrassed/empowered/coy a person truly is at a given moment, (that is, if you subscribe to the theory of mugshots as a vehicle of personality deconstruction). To that end, here is a sampling of my favorite mugshots (celebrity, stylish and unknown, hat-adorned, and full body – none of which are mutually exclusive) that I’ve culled from the internet over the past few weeks. Also, check out some of the new campaign photos for Levi’s, which feature some penetentary-themed shots (though not shot very well, in my opinion). Via DR&DR. The enigmatic Norwegian graphic novelist ‘Jason’ creates some amazing jacket art, my favorite of which is his design for the latest edition of The Dharma Bums, out as a Penguin Classics Deluxe Edition (below). I haven’t read any of his graphic novels, but I just ordered The Left Bank Gang, which centers on F. Scott Fitzgerald, Ernest Hemingway, Ezra Pound, and James Joyce in the bohemia of 1920’s Paris.